Pneumonia is the leading infectious disease killer of children under five, killing more than 900,000 children— the vast majority in South Asia and sub-Saharan Africa— every year. Reductions in childhood pneumonia deaths lag behind reductions in deaths due to malaria, diarrhea, measles and AIDS, and many of these children die because of delays in care seeking, diagnosis and treatment—causes which, in many cases, are preventable. We have known for a long time what works. We know, for example, that a simple five-day amoxicillin regimen—either in dispersible tablet or oral suspension form—is the best pneumonia treatment for children under five. Why, then, are children still dying of pneumonia? What can we do to reduce pneumonia deaths to the levels required to achieve the new Sustainable Development Goals and the Global Strategy for Women’s, Children’s and Adolescents’ Health? Is amoxicillin on your country’s essential medicines list in a pediatric presentation? If not, it will most likely not be procured as part of the national procurement. Are amoxicillin dispersible tablets included as part of the national logistics management information system? Can information on the use and availability of pediatric amoxicillin be used for decision making at all levels from the community level up the system? If not, its availability cannot be assured at the most peripheral levels where it is needed most. Countries may have introduced amoxicillin dispersible tablets as the new treatment protocol for pneumonia, but have all community health workers and facility service providers been trained appropriately in its use? Do they have access to job aids or reminders on the dosing guidelines? If not, we cannot be sure that the treatment protocol is being adhered to by health providers or that the caregivers of the rural, poor, and marginalized children most at risk of pneumonia are using the medicine correctly if they even get it. Are there resources mobilized for procurement of amoxicillin dispersible tablets? Have matching funds been found in countries that are using Global Fund moneys for implementation of community case management but not for pneumonia commodities? Has the gap of amoxicillin dispersible tablets been correctly estimated using systematized quantification methods and evidence-based assumptions? If not, appropriate treatment for pneumonia will still not become a reality for many children under five in many of the countries with the greatest need. These issues are at the core of the work of the USAID-funded Systems for Improved Access to Pharmaceuticals and Services (SIAPS) Program. SIAPS further contributes to the fight against childhood pneumonia by ensuring that best practices are incorporated in global policies through participation in global technical working groups, development and validation of technical documents and resources and maintaining the awareness of pharmaceutical systems issues in the global technical discussions. By working with community health workers to improve case management at community level, building local capacity, and expanding access to amoxicillin, SIAPS Program is strengthening systems to help ensure universal access to pneumonia prevention and care. 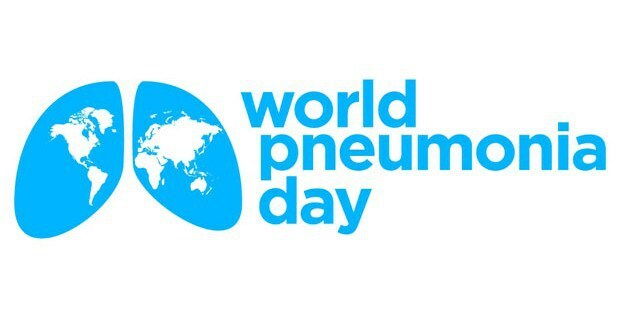 By improving access to pharmaceuticals and services for pneumonia, we are working to end preventable pneumonia deaths and make every breath count.